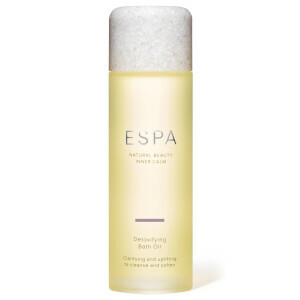 ESPA Detoxifying Salt Scrub makes my skin soft and moisturizes my dry skin like no other product does. I buy 2 at a time so I never run out! Love the scent along with the way it makes my skin feel. Detoxifying salt scrub makes your skin feel very soft and smooth. The aroma leaves the room and self smelling great. Highly recommended for those self pampering times that are needed. Skin feels amazingly soft. Also it gives the room a lovely aroma smell as if you are in a spa. Definately recommend. I love this product. Tried it at a spa in August, loved it so much a purchased it and have never looked back. Love using it at home. Feels amazing on the skin. Skin so soft. Has the most amazing smell. This is amazing! Sloughs off dried winter skin leaving you beautifully moisturised and silky smooth. Smells divine too and leaves you feeling uplifted and pampered. It is a product I can't live without. I have such dry senstaive skin and the detoxifying scrub smells amazing and it leaves my skin amazingly smooth and silky.